A Facebook post by the international trade expert MJ Reyes, takes matters in on the ousting of Chief Justice Maria Lourdes Sereno in a different light, countering what a couple of Philippine Opposition, Liberal Party (LP) Senators Kiko Pangilinan, Risa Hontiveros and Bam Aquino had to say about it. The netizen argues that the Constitutions Section 2 Article, XI states that the possibility of an impeachment is highlighted by the word “may be” and is not the only way to oust someone in power. "The President, the Vice-President, the Members of the Supreme Court, the Members of the Constitutional Commissions, and the Ombudsman MAY BE removed from office on impeachment," as the Constitution per say. Then questions the senators if they felt offended that they weren’t as powerful as before. But for curiosity’s sake, Reyes also had to ask them why didn’t any of them mention anything about the more horrible Php 50-100 million “pork barrel scam”? Referring to the Disbursement Acceleration Program under the former President Benigno Simeon “Noynoy” Aquino III which was greatly benefited by the senators that voted late Chief Justice Renato Corona out. Reyes then questioned if the senators were releasing statements in the interest of the Philippines, Sereno or for publicities. 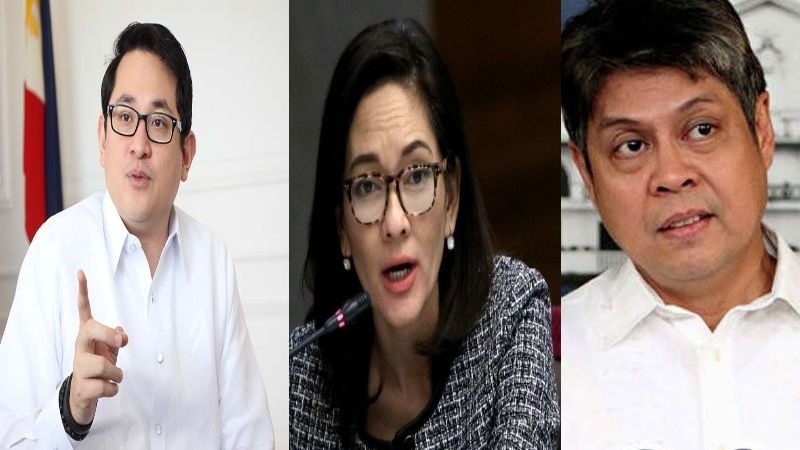 But one can view these senator’s intentions in a way that would encompass all three options since first and foremost Sereno was assigned by the LP Aquino, second would be that this ousting is a really big issue and remarks here would increase your ratings. A selfish gesture that can be masked by one’s interest of the nation’s status. The international trade expert ended her post stating that if an uprising causes an EDSA People Power revolution again, how many more can the LP manipulate in order to make them look like the good guys and the government the bad ones. I leave it to the people to categorize these 3. "The President, the Vice-President, the Members of the Supreme Court, the Members of the Constitutional Commissions, and the Ombudsman MAY BE removed from office on impeachment." Even grade schoolers understand that “may be” is just indication of an option, a possibility. It means there are other alternatives. Kumbaga sa pakikipaghiwalay sa asawa, hindi lang po legal separation ang meron. Nandyan din ang iba pang options tulad ng annulment at divorce (for almost all countries except Phils. & Vatican). O mahirap lang po ba'ng tanggapin na you are no longer as powerful as you may want to be? 1) Pumutak ba sila at umiyak ng #AgeofDarkness at #DeathOfDemocracynoong namudmod ng 50-100M (thru DAP) sa mga senators sa kasagsagan ng impeachment ni CJ Corona? 2) Ang pagputak ba nila ngayon ay para sa interes ng bayan, sa interes ni Sereno, o sa kani-kanilang pansariling interes? 3) Pag nagtawag ba ng EDSA PEOPLE POWER #69, ilan pa kaya ang kaya nilang mauto?"